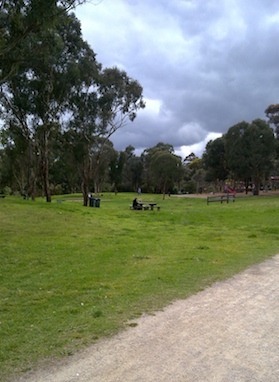 The Alistair Knox Reserve in Eltham is a hub for community life. It's where preschoolers come together during the week for playdates, where galahs and cockatoos pick for seeds in the grass, where mammoth gum trees wave their tall branches and where families ride bicycles along the edges of the Diamond Creek. It is also the location of the Eltham Library, the Eltham toy lending service, the monthly Eltham Craft and Produce Market and it sits very close to the home ground of the Eltham Panthers football team. The reserve was established in 1975 and makes such an excellent display of bush gardening and sustainable building practices, it has been classified by the National Trust. It contains rockwork by influential designer Gordon Ford, that cleverly blends into the park without looking placed and there are patches of native shrubbery that mimic the way trees appear in their natural environment. The reserve is named after architect Alistair Knox, who has been credited with reviving the 'rammed earth' movement in Australia. Also in his honour, mud-bricks (popular in many Eltham buildings) have been used to create the park's award-winning, Greg Burgess designed, library. Keeping within the theme, the play equipment in the reserve is not the garish plastic type found in most council gardens. 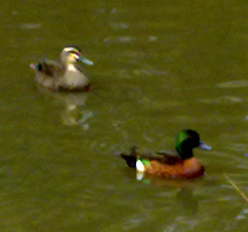 It's been left plain with rustic timbers exposed so as to better fit in with its natural bushland surroundings. The reserve has climbing equipment of three different sizes to accommodate a range of abilities. There are slides, rings, swings, bridges and rockers. The playground is surfaced with tan bark. Another interesting feature of the reserve is the Wetland ponds; made up of a duck pond, sediment pond and frog pond, that cascade one into another after heavy rain. Melbourne Water, with the help of water features and pool designer Peter Glass, installed the wetlands as a filter so that pollutants from urban areas could be dissolved before entering local water ways. 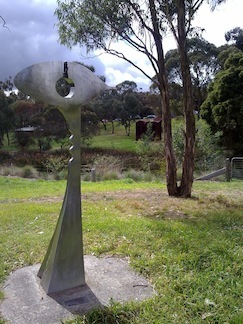 Several sculptures, are contained within the reserve, one of Alan Marshall the local author of the famous Australian novel 'I Can Jump Puddles'. The reserve also houses a section of the Heidelberg School Artist's Trail with Walter Withers the focus of the information plaques. To get to Alistair Knox Reserve catch bus 513 or 902 and get off near the corner of Bridge Road. Alternately take a Hurstbridge train and travel over the historic timber trestle bridge on your way to Eltham Station. Or, if you're driving, parking is available either in Panther Place or at Main Road above the reserve. While spending the day out at the park, drinks and snacks are available from The Tea Pot Cafe. You can also dine at the nearby Shillinglaw Cottage, which was built in 1856.